What makes Capehart Dentistry different? Quite a bit. Our caring, gentle team is known around the DFW Metroplex for a unique blend of quality dentistry and 5-star service — and we cannot wait to become your family’s dentist for life! Click each of the images below to learn a little more about what sets us apart. Welcome If you have dental insurance, we’ll be happy to take it and maximize your coverage. When was the last time you felt like your dentist truly cared about you as a person, and that your wants, needs, and goals really mattered to them? 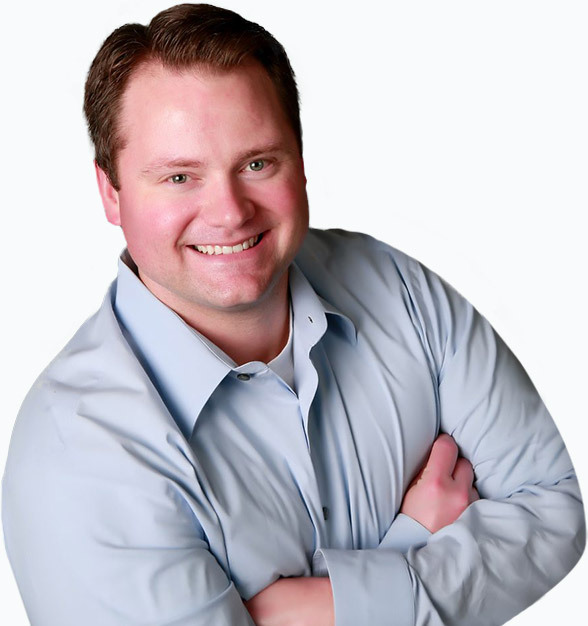 Every day, that’s exactly how all of Dr. Christopher Capehart’s patients feel when they come to his dental practice. He always takes the time to get to know his patients so he can tailor all their care to meet their individual needs. Between his friendly demeanor and years of experience and training, you’re guaranteed to have the easiest, most fulfilling dental experience of your life. Your number one goal in life is just to take care of your family so everyone can be happy and healthy. With Capehart Dental, that’s easier than ever because we gladly serve patients of all ages! We can treat everyone from children to seniors with the same personalized, high-quality care — and we’ll save you from having to run all over town between different practices. We work exceptionally hard so you can proudly call us your dental home. Are you in severe dental pain and can’t get relief? It may surprise you to learn that a root canal could actually be the answer you’re looking for. Despite its dubious reputation, root canals are actually one of the best tools we have to RELIEVE dental pain and save teeth that would otherwise need to be removed. Plus, thanks to modern dental techniques, we can promise that your root canal will always be the solution to your pain and never the cause. All it takes is one chipped, cracked, broken, or missing tooth to completely ruin a smile. Suddenly, you feel self-conscious about people seeing your teeth, and it may even be difficult to eat all of your favorite foods. If this sounds like you, we have the exact solution you need: dental crowns and bridges. 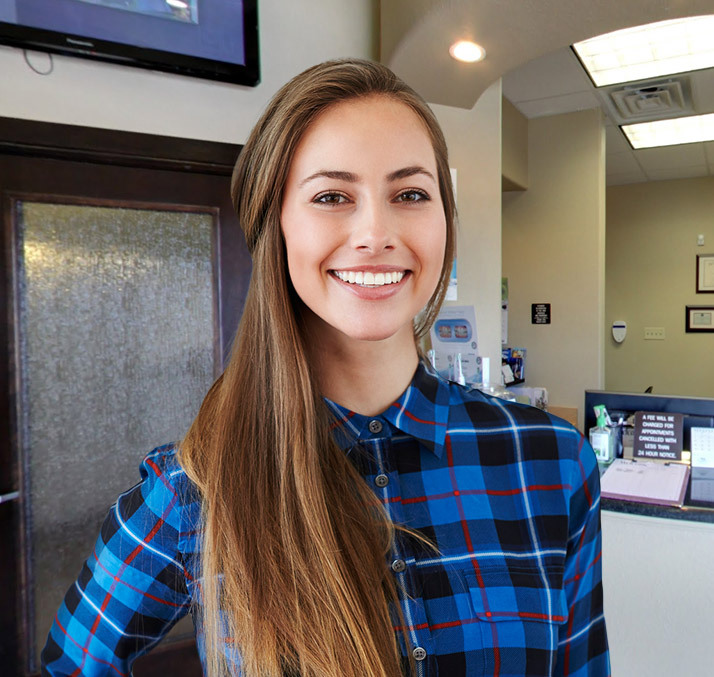 These restorations have been used for generations to fix damaged teeth, and Dr. Capehart has personally used them to help thousands of Lewisville friends and families smile confidently again. Do you hide your smile because you have missing teeth? Do they ever make you feel embarrassed? We completely understand, and we know they can be so much more than just a cosmetic problem. Fortunately, we can help you get dental implants, the most advanced and reliable tooth replacement solution available today. 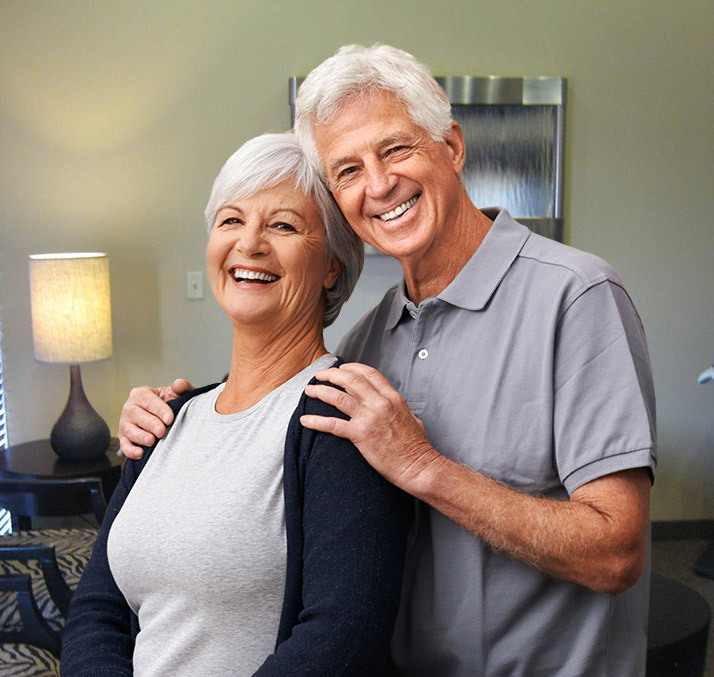 We can use implants to rebuild your teeth from the roots up, providing you the best when it comes to security, longevity, AND aesthetics — all with just one revolutionary treatment. Crooked teeth are annoying, but getting metal braces just isn’t a realistic option for many teens and adults. In the modern-world, your smile says a lot about you, and the last thing you want to do is fill your mouth with unsightly brackets and wires. With Invisalign®, you no longer have to. This sleek and subtle approach to orthodontics will allow you to discreetly straighten your teeth and look great while doing it. Is your smile holding you back? How great would you feel if you had the perfect looking set of teeth? With our array of cosmetic dentistry services, we can give you everything that nature didn’t. Whether you simply want whiter teeth or a complete smile transformation, we can deliver it. After you come to see us, you’ll be shocked at how confident you’ll feel as soon as you look in the mirror. We will happily take your dental insurance and do everything to maximize coverage so that your care fits easily into the family’s budget. Also, we can even help you get flexible, low to no interest financing through our partnership with CareCredit. Don’t have dental insurance? GOOD! We can offer you something even better! 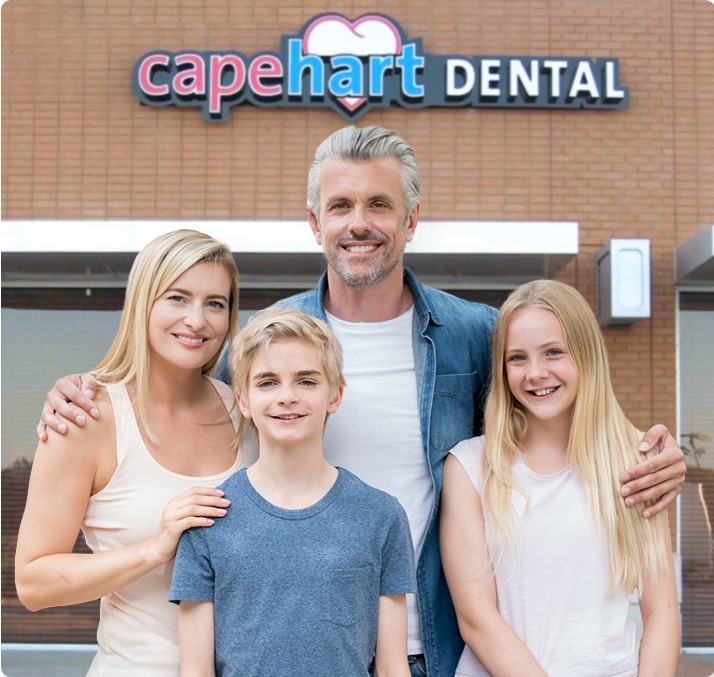 With the Capehart Dental Plan, you’ll have access to affordable, deeply discounted dental care for your entire family, and you won’t have to deal with any of the restrictions of dental insurance.